A powerful corrective serum formulated to lighten hyperpigmentation and correct surface skin irregularities for brighter, smoother texture and tone. Ideal for sun spots, acne scarring or pigmentation problems caused by hormonal fluctuations or pregnancy. Resurfaces skin evening out skin texture. Lightens and brightens skin with Vitamin C and Arbutin. Works well on acne scarring. Apply daily to dark, discolored spots on skin. Use sparingly as final step in your PM regimen. If skin is sensitive or becomes dry, use every other day. If used in AM, follow with SPF 30 sunblock. This is a really great product. It works in just one night. It reduced my acne scars from pregnancy in only a night. I love this because it's gentler than glycolic acid products and doesn't irritate my skin. Not for day time use, as it gets oily under makeup. When I first saw this product was available, I thought it would be exactly what I needed, especially since I'm a huge fan of Arcona products. However, within the first couple weeks of use, I noticed that my hyperpigmentation actually appeared to be worsening/darkening. I was doing all the right things, wearing sunscreen religiously (I use the Arcona brand of this as well), wearing hats anytime sun would have the opportunity to touch my face, etc. I googled everything I could to see if this was "normal" and, ultimately, ended up contacting Acrona customer care to ask them. Their response was, "The darkening of the pigment is normal and means that the product is working well. It will slough off soon and you will have brighter more even skin. "However, now I've been using the product for a couple months, and it's continuing to get worse - not better. I went to my dermatologist today, let him know Arcona's response, and he told me that in no way should this product be making my hyperpigmentation darker and to stop use. So, needless to say, I'm very disappointed. I had just ordered an additional bottle with the hope that this was all going to pay off and the darkening really was normal - but now I have to return it. 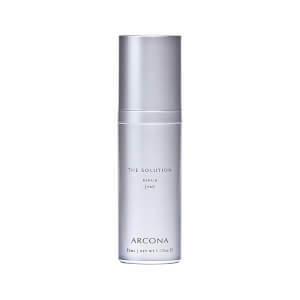 This little gem really does work but it took awhile before I noticed......Don't forget to use sunscreen ( I use Arcona's) or else you will constantly get more sun damage.I used this for a couple months when all of a sudden I noticed that the sun spots on my face were gone or almost so!! My skin looks years younger now due to Arcona. I'm a huge fan of Arcona products. That said, after using this product for a few months, I haven't noticed much of a difference in fading freckles or acne scars. It also burns my skin for about 5 minutes. Maybe this means that it's effective and plays a role in exfoliating, like a chemical peel?